Reside Desking blends the best of European design with advanced workplace knowledge to span a wide range of applications and support the most dynamic work environments. Reside Desking, created by Haworth Design Studio and Struppler Industriedesign in Munich, Germany, is designed to give back to the individual with choices and adjustability while offering clients the broadest desking platform available today. 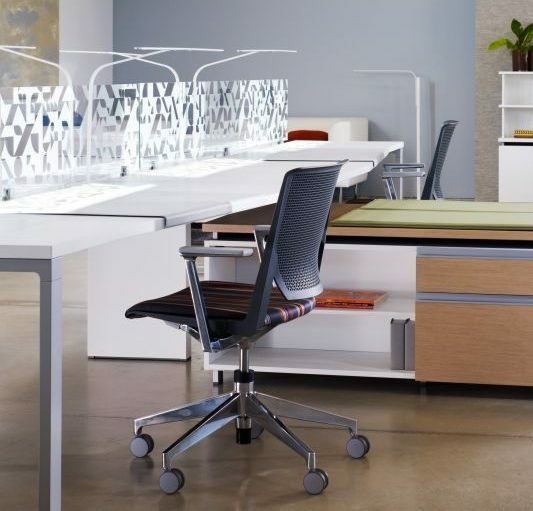 Reside blends learnings, applications and design from Europe—where desking originated and has sustained for decades—with the unique needs and opportunities of North America.